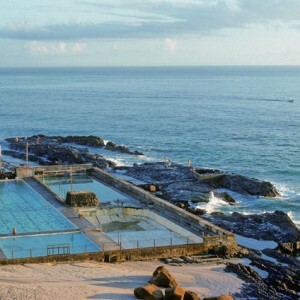 Jack Evan’s Pet Porpoise Pool, or Dolphin Oceanarium, opened in the same year at the Snapper Rocks Sea Baths on the northern side of Point Danger, Coolangatta. 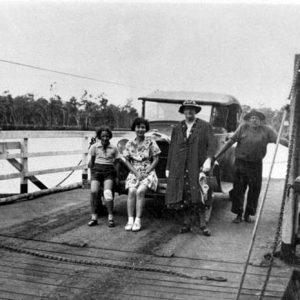 Originally intended to be sea baths, Jack Evan’s shark pool at the southern end of the Gold Coast was a popular destination for visitors wishing to see sharks in relatively close quarters. 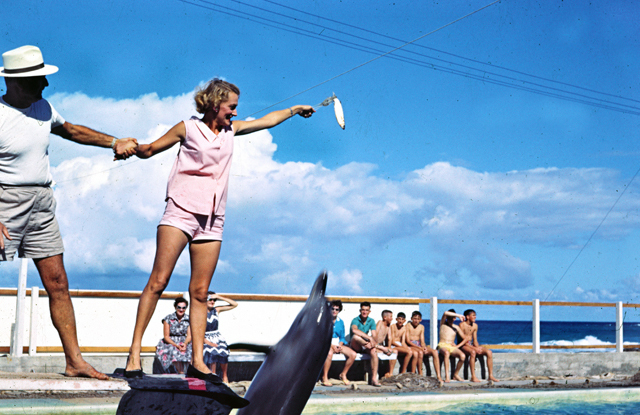 The popularity of the shark pool influenced Jack’s decision to install a dolphin exhibit next to the shark pool and in 1956 the Boyd Brothers, local professional fisherman, caught two bottle-nose dolphins. It was one of the earliest tourist attractions on the Gold Coast and people flocked to see the first dolphin show in Australia where they could hand feed the dolphins and watch them perform tricks. 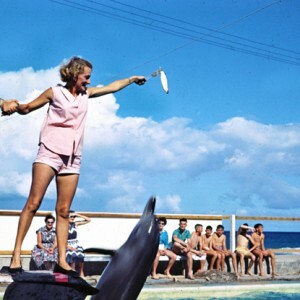 However, the surging waves often made for difficult and unpredictable conditions with, on occasion, the sharks washing into the dolphin enclosure. 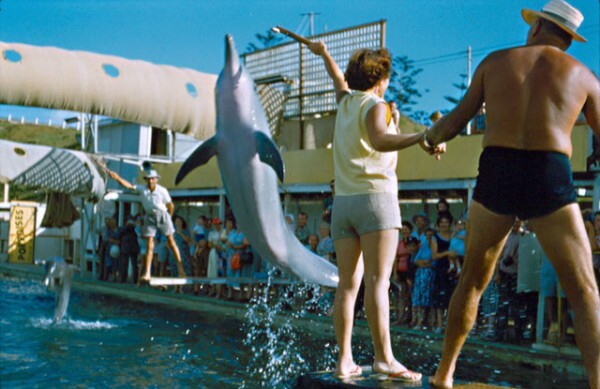 So in 1961, another purpose-built porpoise pool aquarium was constructed nearby at the mouth of the Tweed River in Tweed Heads, New South Wales. 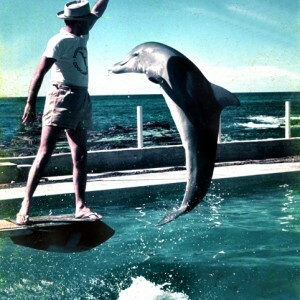 Jack Evans feeding a dolphin, Snapper Rocks, circa 1959. 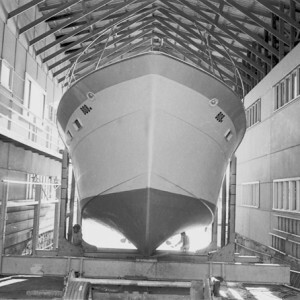 Photographer Ray Sharpe. 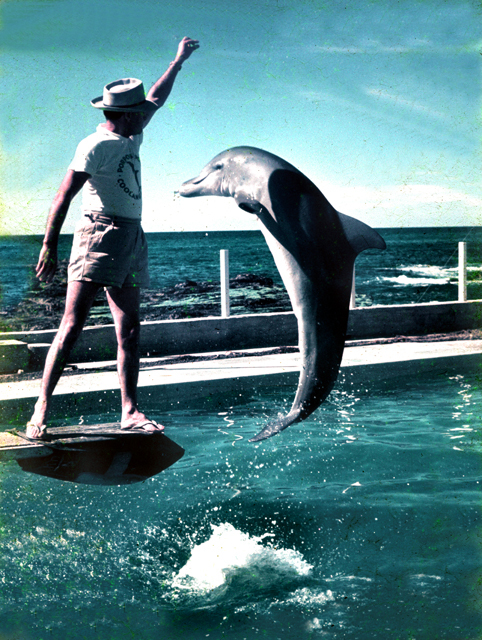 Jack was the first keeper and trainer of dolphins in Australia and ran the show for almost 20 years before selling the business to Keith Williams. 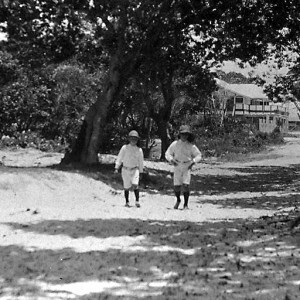 Some of the brick wall remains of the Jack Evans’ original Porpoise Pool at Snapper Rocks can still be seen and are on the Gold Coast Local Heritage Register. Duke, Jan & Cameron, Toni. 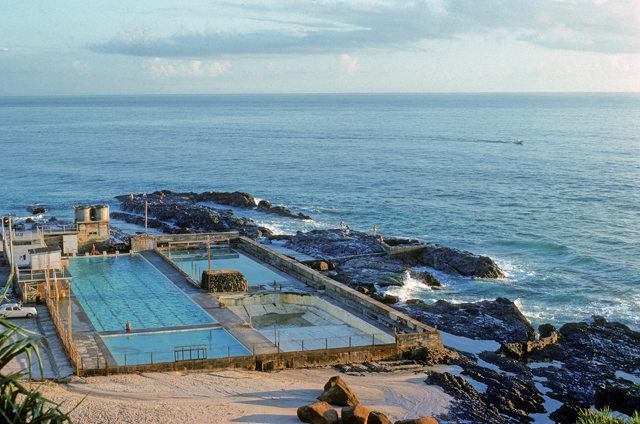 Jack Evans’ pet porpoise pool, Tweed Heads. 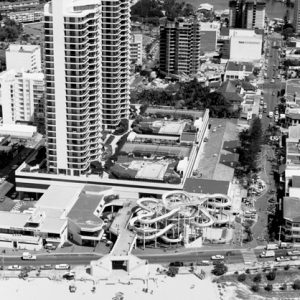 Queensland: The Wilke Group, 1970. 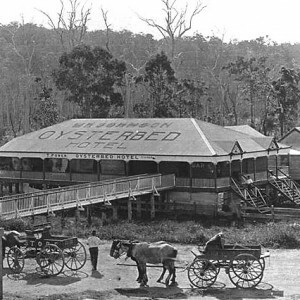 Gold Coast City Council, Gold Coast Local Heritage Register, 2013.